The 492nd Fighter Squadron successfully completed a BAK-14 certification and close air support training with Estonian Joint Terminal Attack Controllers, Nov. 2, at Amari Air Base, Estonia. The Madhatters tested the airfield’s BAK-14 cable arresting system, which is used to safely bring fighter aircraft to a stop in the event of an emergency. 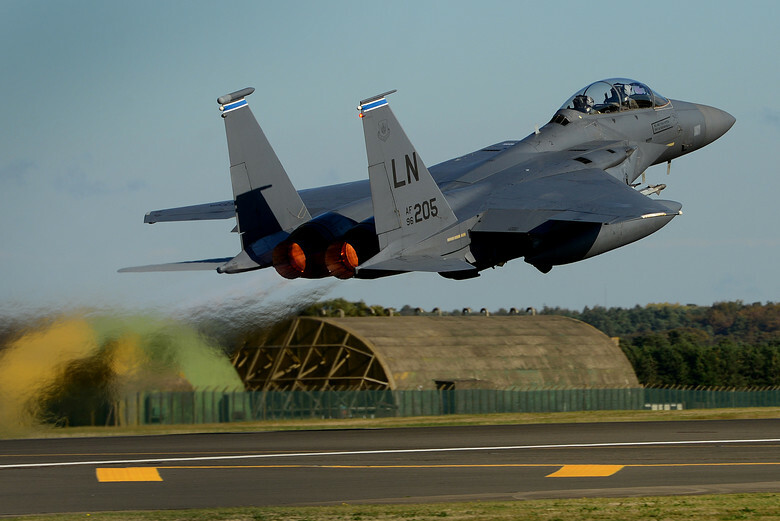 An F-15E Strike Eagle assigned to the 492nd FS executed a high-speed taxi and was successfully stopped by the cable arresting system. As told by Senior Airman Malcolm Mayfield, 48th Fighter Wing Public Affairs, in the article 492nd successfully certifies Estonian BAK-14, the system was paid for with FY16 European Deterrence Initiative funding. Activities funded through EDI increase the capability and readiness of U.S. forces allowing for a faster response in the event of any aggression by a regional adversary against the sovereign territory of a NATO ally. Estonia is a key NATO ally in Europe and a strong U.S. partner in fostering regional security and prosperity. Continual interaction between the U.S. and Estonia helps strengthen overall coordination during times of crisis or security threats.